And we are on the road again, prepared as always to discover new favorite places to eat, have a beer or spot an old VW bus. Taking no chances, we will also revisit many places that we have discovered before. One of those places is Veracruz Cafe in Cedar Hill, Texas. Since we were only staying in the Dallas/Fort Worth area for two nights we had to make the dining choices count and Veracruz is always an excellent choice. 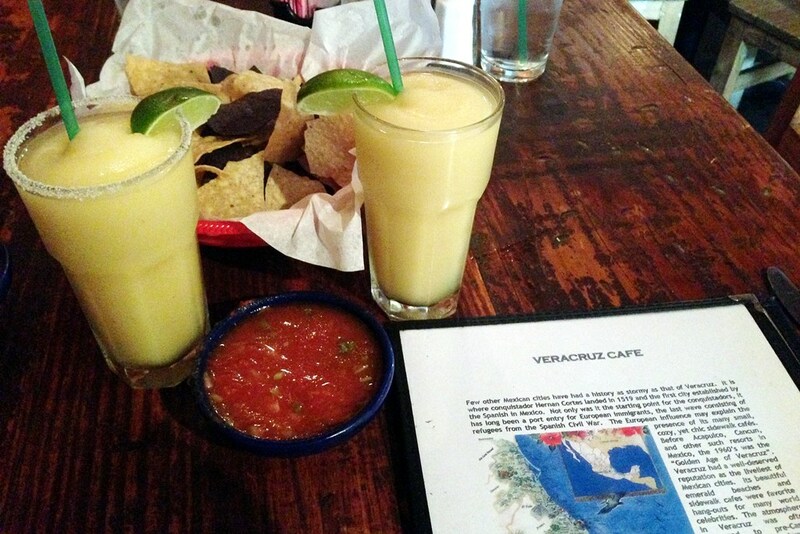 It is also one of the only places where we will both pass on a beer in favor of their delicious margaritas! After a wonderful meal of Carne Texolo and Enchiladas Mexicanitas, that was over way too soon, we drove down to Burleson to watch the Fourth of July fireworks with my brother, Mark, and his girlfriend, Christie, and her family. It was a great evening and spectacular fireworks show. The next day, we met up with Mark and my other brother, Gary, and his wife, Vanessa, at another favorite Mexican restaurant in Fort Worth, Mercado Juarez. We rediscovered how good this place is last year on our way through and it makes me almost wonder why I would have moved away from here so long ago. 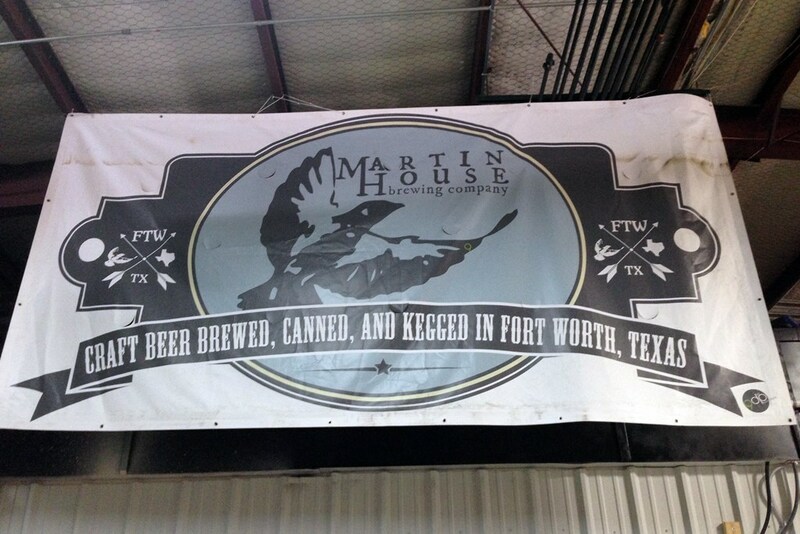 After lunch we headed over to Martin House Brewing for their Saturday afternoon open house. They have several good ones and our favorite is their Pretzel Stout, brewed with crushed sourdough pretzels. It was a quick trip through this time but we’ll get to spend more time on our way back through in the fall; enough time to visit more family and friends, discover some new breweries that will be opening soon, and more than likely, return to Veracruz and Mercado Juarez as well. One of us keeps saying, “we could live here” whenever we visit and although I’m the reluctant one, it definitely wouldn’t be all bad. 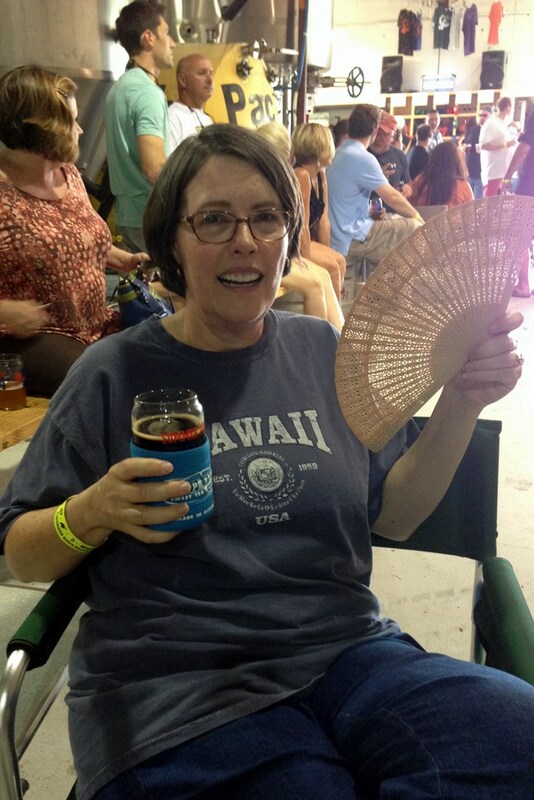 This entry was posted in Beer, Texas and tagged Beer, Breweries, Brewery, Craft Beer, Food, Motor Home, motorhome, RV, Tex-Mex, Travel. Bookmark the permalink. mmm Those margaritas are a thing of beauty 🙂 Glad the trip is off to a good start. I can only imagine the fun things yet to come. Eagerly awaiting the next post. I finally added pictures to the 2013 Blue Ridge Parkway trip and by the weekend will have a 2014 Yosemite post. See y’all.